We visited beautiful Toronto to attend the Women in Music Canada Stingray Rising Stars showcase at The Rivoli on September 11, 2018. A first time Stingray Music partner, Women in Music Canada is a non-profit organization composed of influential members of the Canadian music industry. The organization, founded in 2012, is dedicated to fostering gender equality in the music industry through the support and advancement of women. Providing knowledge, strategy and solutions to its members, and the greater community, is its driving purpose. The goal is to strengthen the social-economic balance of the music industry by providing professional and creative development, support and resources. 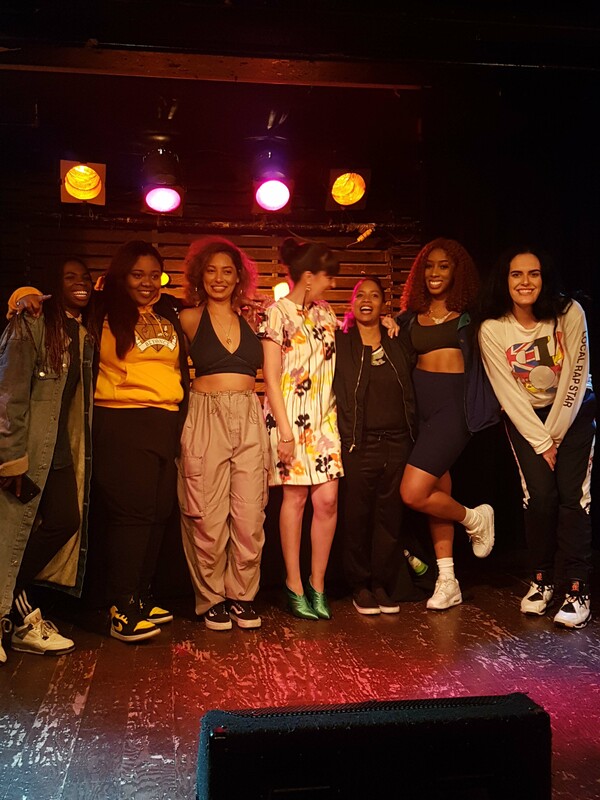 Women in Music Canada as well as Music Ontario, who co-sponsored the prize, received over 80 submissions from female R&B and Rap artists across Canada. The Stingray Rising Stars finalists were Mackenta, The Sorority, and Staasia Daniels. The Sorority was awarded $2,000 to create their next music video, $1000 of which was provided by Stingray Music as part of its Stingray Rising Stars program. The crowd was blown away by their stage presence and musical intensity. Mackenta delivered a exceptional fusion of atmospheric hip-hop, moving vocals and polished songwriting. Toronto R&B singer-songwriter Staasia Daniels performed last and impressed the audience with her power moves and soulful vocals. From left to right: Bev Moore (Music Ontario), haviah mighty (The Sorority), Ariane Charbonneau (Stingray Music) and lex leosis (The Sorority). 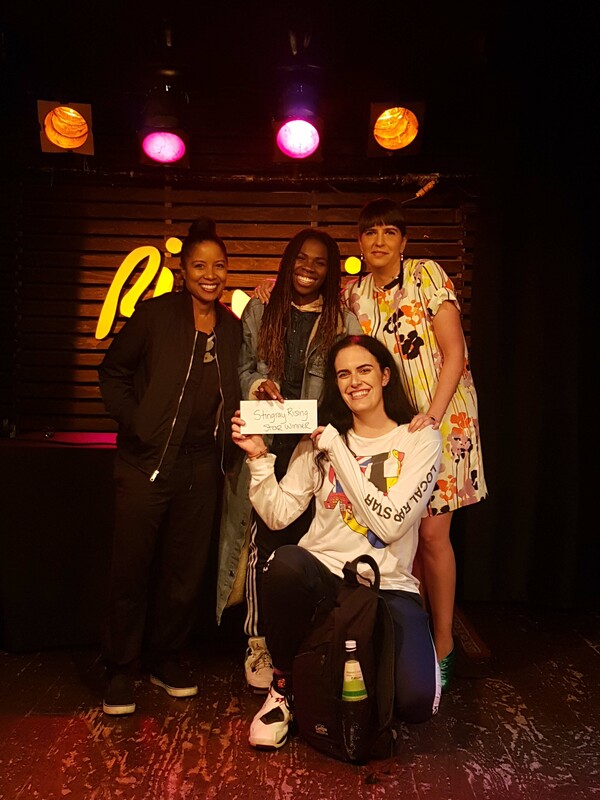 Phoenix Pagliacci, Keysha Freshh, Lex Leosis, and Haviah Mighty found themselves at a cypher hosted by TeamBackPack in 2016 for International Women’s Day. Unknown to each other, the four took turns spitting over what would become one of the biggest cyphers of the year. Having drawn the attention of Fader, Rap Season, Boi-1da.net, Noisey and many Canadian music publications, the foursome decided to form The Sorority. Since then, The Sorority have played several festivals including Toronto’s Manifesto Festival, the City of Toronto’s Canada150 Festival, and Unity Festival, and opened for the likes of Majid Jordan, The Internet, Isaiah Rashad, Jidenna, DVSN, Miguel, Joey Bada$$, A-Trak and others. The Sorority's unique live performance allows for each member to stand out with their own signature flare and style, while also providing the cohesion you would expect from a group. “This isn’t a girls club, a university alliance, a clique or trend. The Sorority is a progressive hip-hop group spitting fierce bars with grace” (BanTor Radio, 2017). Proving themselves to be “dope spitters” (sypher sights), The Sorority’s “energy and technical prowess (shine) through over both boom-bap and trap beats…that pull no punches" (Now Magazine). Mixing the new with the old, the classic with the progressive, with respect for the greats and blazing their own trail, The Sorority, are the ones to watch for 2018. Stingray Music also had the pleasure to offer Mackenta and Staasia Daniels an opportunity to visit Stingray headquarters HQs in Montreal to spend a day of mentorship with our legal, marketing, social media, video and music programming experts. Stay tuned! JUNOS 2019 | Stingray on the JUNO Express! JUNOS 2019 | Stingray PausePlay Episodes on the Red Carpet! Canadian Blast BBQ 2019 | Stingray Music at SXSW! JUNOS 2019 | Stingray at the JUNOS!